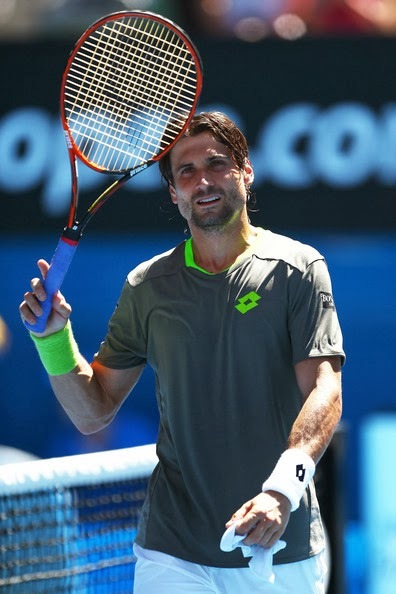 A number of men looked splendid at this year's 2014 Australian Open. Here's a look at the top 5 outfits that the men were rocking. Roger Federer made a much-heralded return to form (tennis and fashion) in Melbourne. Here's hoping that his Nike kits and tennis look as good for the rest of the 2014 season. David exhibited some bad behavior down under. However, his grey Lotto shirt, accented with lime green piping and wristbands, was eye-catching against the blue tennis courts. Sam Querrey looked sporty and fresh in his new Fila duds. Tommy thankfully signed a deal with Ellesse. Hopefully this means no more mismatched kits and black socks. Who would have predicted Wawrinka would be in the winner's circle at the end of the Australian Open fortnight? He looked fantastic and ecstatic in his red and white Yonex kit.